From stopped up toilets and sluggish sinks to leaky pipes and broken-down water heaters, there are a lot of reasons why you might need a Mount Airy MD plumber. You may also find yourself searching for a good plumber when you want to give your bathroom or kitchen a facelift or you want to update your old, inefficient fixtures. Regardless of why you need a plumber, you need someone you can depend on for quality, affordable service. At Larry & Sons, we can help. When you need a Mount Airy, MD plumber with the knowledge, experience, and skills to tackle any plumbing repair, installation, or maintenance project, we are the company for the job. No matter what type of plumbing installation, repair, replacement, or maintenance assistance you need, our team is the right one for the job. We also offer bathroom remodeling services to help you turn your old, outdated bathroom into the relaxing oasis you’ve always dreamed of. Larry & Sons has decades of experience, and you can always feel comfortable welcoming our professional technicians into your home or place of business. 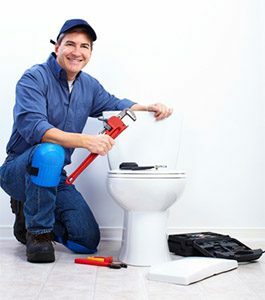 We hire only the best plumbers, and we ensure that they are properly licensed, bonded, and insured. We require them to submit to comprehensive background checks and random drug screenings as well. When you are looking for a reliable Mount Airy, MD plumber, look no further than the experts right here at Larry & Sons. Call now for all your plumbing needs!